As a business owner, one of your top priorities should be addressing customer concerns and answering queries from prospective clients as quickly and efficiently as possible. Having the ability to connect customers in real time and answer their questions immediately can certainly go a long way towards improving your conversion rate. If prospects who may otherwise leave your site to conduct research in order to find the answers they need can have their queries addressed immediately while browsing your website, this can not only significantly reduce your bounce rate but also improve your overall conversion rate and ultimately increase your ROI. Your trusted SEO providers at 51 Blocks now offer white label chat service to help you retain visitors and provide them with all the information and education they need about your business to make the important conversions that lead to outstanding results. In decades past, prospective customers did not expect representatives of a company to get back to them immediately with answers to their most important questions, and were content to wait for a letter or call back from a call center representative to provide the information they needed. However, times have changed, and customer service has changed right along with them. Consumers demand a higher level of support from the companies they choose to do business with, and value excellent service above all else. By letting a customer query go unanswered for a long period of time, you are letting revenue slip through your fingers and running the risk of that prospective client going with a competitor’s brand instead. Why take a chance on lost business when 51Blocks has the ideal customer support solution right at your fingertips? By taking advantage of 51Blocks’ white label customer support, you can ensure that not a single query goes unresolved, leading to much happier clients and a boost to your brand’s reputation for service excellence. White label customer support can also help you build, maintain, and protect your brand reputation by providing fast, effective solutions for your customers’ concerns with a product or service. Our chat support service will take your business to the next level by providing a way for you to help clients quickly and accurately. 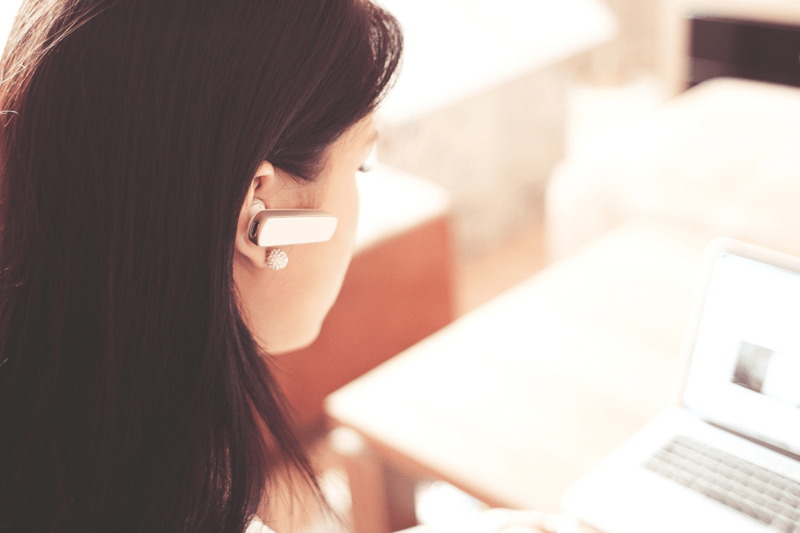 The ability to have real-time access to a live customer support representative will give your clients the peace of mind they need to know they’ve made the right choice by doing business with you. In fact, the knowledge that customer support is so accessible can help motivate prospective clients to take action, which can improve your overall conversion rate. Keeping your customers happy is the first, most important step towards creating a strong brand identity and building loyalty and repeat business. White label customer support services from 51Blocks help you get there by providing you with a service that handles real-time customer queries for you. Did you know that according to an industry study reported by Salesforce, 58 percent of respondents stated that being put on hold made them feel frustrated, while a second study showed that 15 percent of callers are likely to hang up after 40 seconds of wait time? That means a small business that simply doesn’t have the bandwidth to quickly answer customer questions or address concerns risks losing 15 percent of its prospective client base, just for not having time to answer phone calls or emails as they come in. Don’t let this happen to you! With 51Blocks white label customer support solutions, you can have the power of a fully-staffed customer service center at the ready to respond to customer queries in real time, which will reduce the number of visitors who get frustrated and leave your page. It is essential to make sure your customers don’t even have a reason to check out the competition- 51Blocks chat support services give your business the advantage of being able to provide information on demand so your customers can quickly and effortlessly make the best choice. 51Blocks can help attract and retain your most sought-after clients with our white label chat service customer support solutions. When you choose 51Blocks, you are signing up to receive comprehensive, personalized SEO and marketing tactics that strengthen your brand, enhance your customer experience, and drive conversions by motivating clients to do business with you. Your customer support solution will include a fully-staffed support center standing by to answer customer queries and concerns on the spot, so that you can concentrate on building other aspects of your business. We want to help you rise to the top of your industry with a customer support strategy that helps you connect with your clients in real time to answer questions, address concerns, and keep your target audience pleased with the ease and convenience of the service they receive through your company. We’re here to help- contact 51Blocks today to find out more about our white label customer support solutions.